Paul Calvert returns to England from Australia, his engagement broken, his career wrecked. He seeks a new life in a quiet Dorset village. But he witnesses a savage mugging by young thugs, and in saving the victim makes enemies of the muggers. At the local golf club, where he takes a job, longstanding grudges surface, culminating in the death of a senior member. The police do not suspect foul play, but Paul has other ideas, and begins to make enquiries. 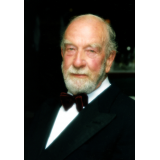 He finds many suspects with motives for murder. Events now take a more sinister turn as Paul uncovers a fake antiques racket and is swept into a world of intrigue and danger – with his own life at risk. A murdered body is found near the golf course, shocking club members again. The Paul receives a chilling threat: get out of the village within three days… or be killed. The author weaves a masterful tale – a plot full of twists and turns, romance and setbacks, and full of memorable characters. 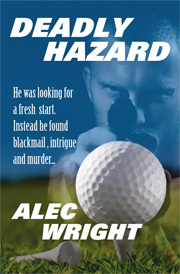 A gripping read for all whodunit and thriller fans – and for golf enthusiasts too. Golf club politics are dealt with in an entertaining and plausible fashion. The story moves along at a decent pace to a denouement you probably didn't see coming. It's a pretty good tale. If you're a golfer as well that will add to the enjoyment. Murder, controversy and romance all abound over the course of this gripping 279 page yarn that reads like the work of a seasoned writer. We recommend this excellent golf murder – mystery should occupy a place on every golf enthusiast's bookshelf.